The YMCA recently held the eighth annual Celebrity Waiter Dinner to raise money for programs at the family center. Best waiter winner Larry Morris with runner-up Father Dooley and YMCA CEO Doug Saunders. Celebrity waiter emcee Rob Pittser guides waiters and guests through various basketball themed games. 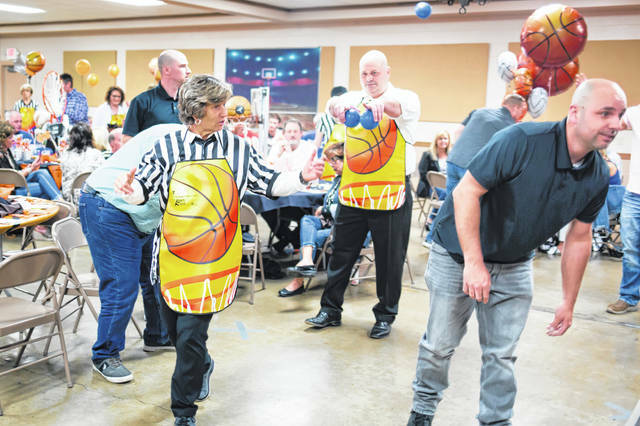 Debbie Southward and Larry Morris were among waiters participating with guests in various basketball-themed games. YMCA CEO Doug Saunders welcomed the crowd and introduced the “Celebrity Waiters” to the eighth-annual Celebrity Waiter Dinner Saturday. The fundraising dinner helps to fund YMCA program and raised $33,000 this year. 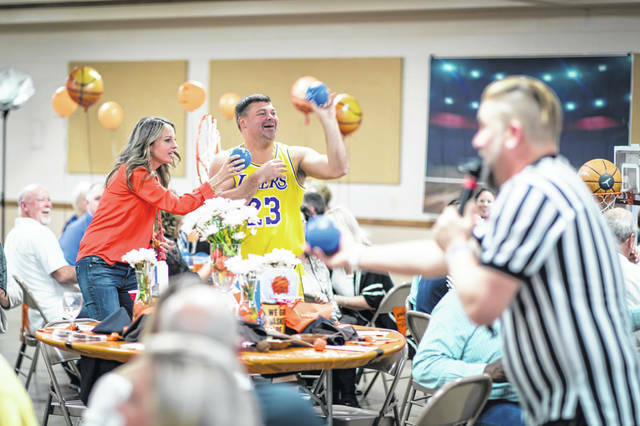 https://www.recordherald.com/wp-content/uploads/sites/27/2019/04/web1_3-v-3-game-3.jpgThe YMCA recently held the eighth annual Celebrity Waiter Dinner to raise money for programs at the family center. 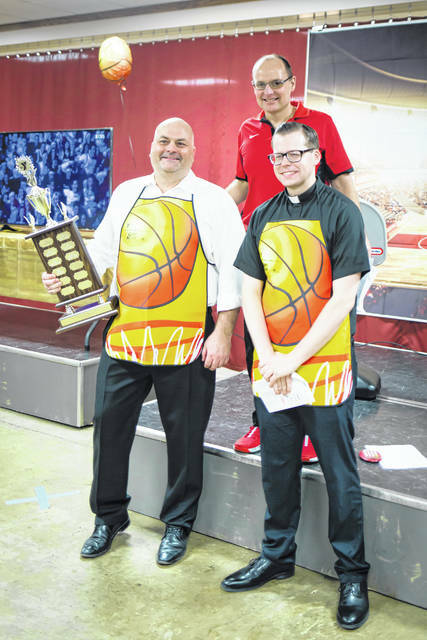 https://www.recordherald.com/wp-content/uploads/sites/27/2019/04/web1_Winners.jpgBest waiter winner Larry Morris with runner-up Father Dooley and YMCA CEO Doug Saunders. 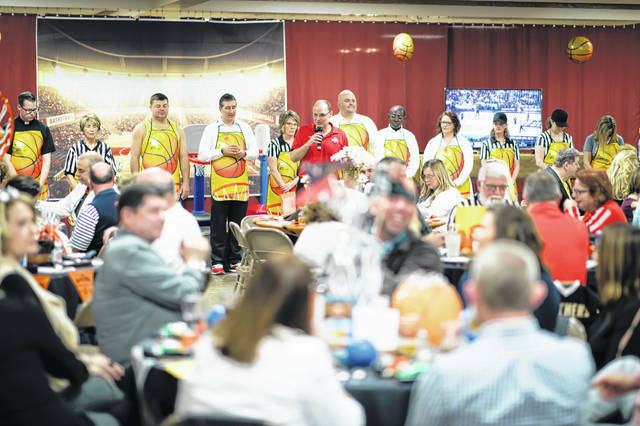 https://www.recordherald.com/wp-content/uploads/sites/27/2019/04/web1_3-v-3-game-5.jpgCelebrity waiter emcee Rob Pittser guides waiters and guests through various basketball themed games. 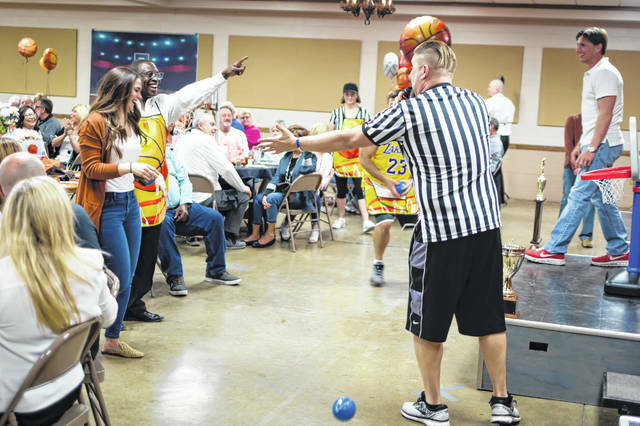 https://www.recordherald.com/wp-content/uploads/sites/27/2019/04/web1_Debbie-and-Larry.jpgDebbie Southward and Larry Morris were among waiters participating with guests in various basketball-themed games. https://www.recordherald.com/wp-content/uploads/sites/27/2019/04/web1_Waiter-Introductions.jpgYMCA CEO Doug Saunders welcomed the crowd and introduced the “Celebrity Waiters” to the eighth-annual Celebrity Waiter Dinner Saturday. The fundraising dinner helps to fund YMCA program and raised $33,000 this year.